When we picture wine and food pairing, we often picture haute cuisine, uniformed waiters, and a pretty hefty bill. We can’t eat like that every day, though. At the end of the day, wine is meant for enjoying with whatever you like best. Wine is for the people! So why not think about how we can enjoy it with our guilty pleasures, as well as on our fancy dinner dates? Here are eight options for keeping it culinary, even while you’re pigging out. 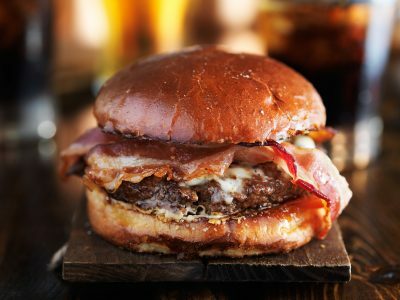 Burgers nowadays can come with a myriad of toppings, but lets be real – do you really need more than a cheeseburger? You can keep the foie gras. That helps, because it allows to basically think of a burger as a chopped up steak with added cheese and sauce. Our number one pick for a wine pairing – Zinfandel. You’ll need a full-bodied red, and what better full-bodied red than a U.S. favorite to pair with this most all-American of comfort foods? Another one that really depends on the toppings. 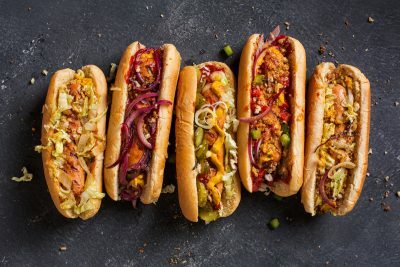 For a middle-ground, we’re gonna assume a classic Chicago dog sporting pickles, relish, white onions and mustard (don’t be mad at us, anyone that isn’t from Chi-town). All that salt and acidity need something crisp, which is why a Sauvignon Blanc can work wonders. The grassy notes will also complement those tangy toppings. This ones a real Beauty & the Beast, Prince & the Pauper-type pairing – and that makes it all the sweeter. 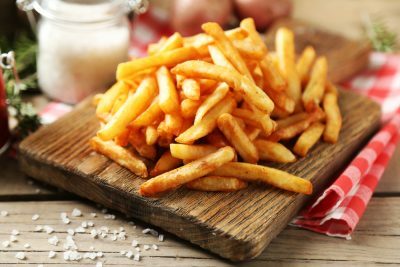 Moët & Chandon themselves have claimed that Champagne and salty french fries make a perfect pairing. And, if you thought that was just a ploy to move more units, a lot of sommelier’s and wine editors apparently agree. It actually makes a lot of sense – bubbles and high acid plus salt and fat creates something that is maybe even better than the sum of its parts. 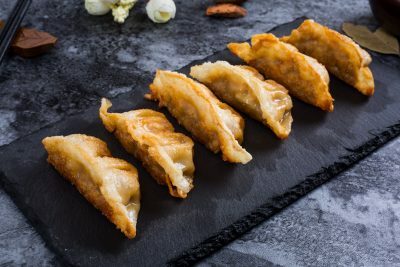 Calling dumplings junk food feels a little wrong, but they’re certainly comfort food. They might be hearty and filling, but the flavors are often quite delicate. Combine that with the zippy, savory and sour dipping sauces (often a combination of soy sauce, vinegar and chili) and you have a recipe that’s tough to find an obvious wine pairing for. A Chardonnay, with the right balance of oaky richness and acidity, can complement the full flavors of pork and vegetable fillings while competing with the sharp dipping sauces. 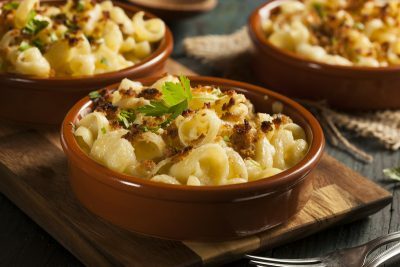 Some might tell you that Mac ‘n’ Cheese needs a white wine, but we’re going to break with that logic. That pairing assumes mild American cheese, but this is about comfort food – proper, loosen-the-belt, hate-yourself-after comfort food. Who wants mild? If you start going in with stronger cheeses like parmesan reggiano or an aged cheddar, you’ll want something a bit more powerful to stand up to that ooey, gooey, cheesy goodness. A good Pinot Noir, round and fruit-forward without being overpowering, fits the bill. That’s particularly true if you start adding extra ingredients to the mix, like salty bacon or rich, indulgent truffle. 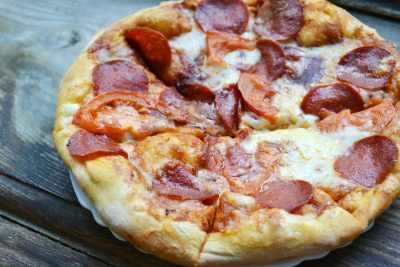 Though the words “junk food” and “pizza” might have you picturing a New York-style slice rather than a classic Neopolitan pizza, we can still go back to its roots when it comes to wine pairing. The rich, fruity flavors of Sangiovese grapes – the most popular red wine grape in Italy – lend themselves to the flavors of intense tomato sauces as well as the fatty flavors and spices of toppings like pepperoni. 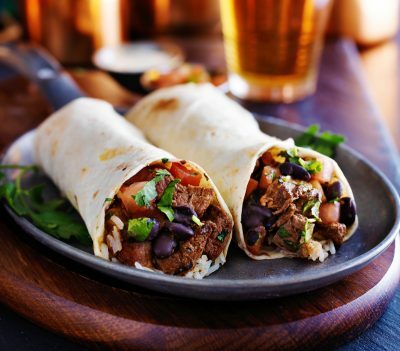 Ah, the burrito, a luscious guilty pleasure that you can hold in one hand. Assuming there’s a bit of heat in there, a Riesling can be a very strong look – its a go-to when pairing with spicy foods in general, and can also just about stand up to the richness of fillings like carne asada pork. This pairing will also work for other Mexican dishes, like fish tacos. 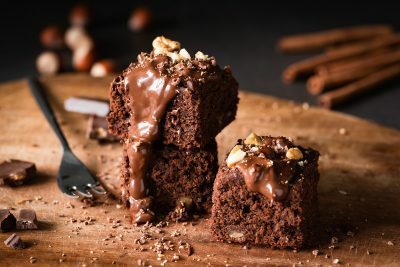 Wine and chocolate pairing is a delicate art, but as a general rule the higher the depth and richness of the chocolate, the heavier and darker the red wine should be. That’s why when it comes to brownies, whether the fresh-from-the-oven or the store-bought kind, Merlot is the way to go. Looking to indulge? 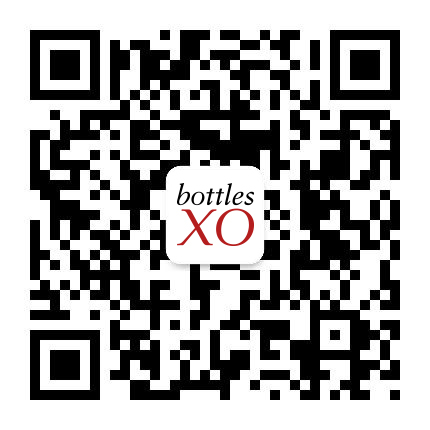 There are a range of the wines above and much, much more available right now on the BottlesXO app for instant delivery in Shanghai and Suzhou. Click hereto download the app and start ordering.